Although orange is still a core Fanta flavour, it's far from the be all and end all of Fanta fun. The many other fruity Fanta flavours are definitely worth a try. 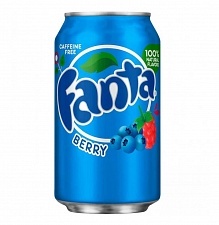 We import our Fanta range from several different countries, including America, Sweden and Thailand. So if you 'Wanta Fanta', you've definitely come to the right place. Try a new flavour here today.